0 Comments Published by Cedric Benetti on Wednesday, July 7, 2010 at 7/07/2010 11:31:00 AM. I am Chanel, hear me roar! 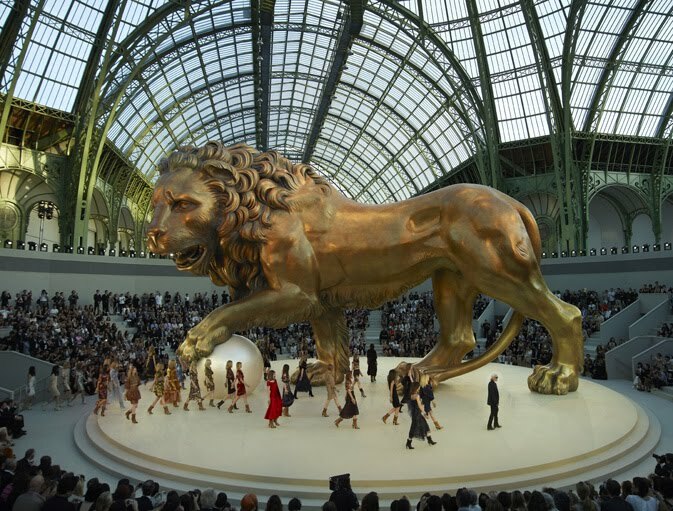 The grande dame of fashion put on a brilliant display of fabulousness yesterday at the Grand Palais, and all under the watchful eye of a gilded baroque lion. Paris is a feast once again.